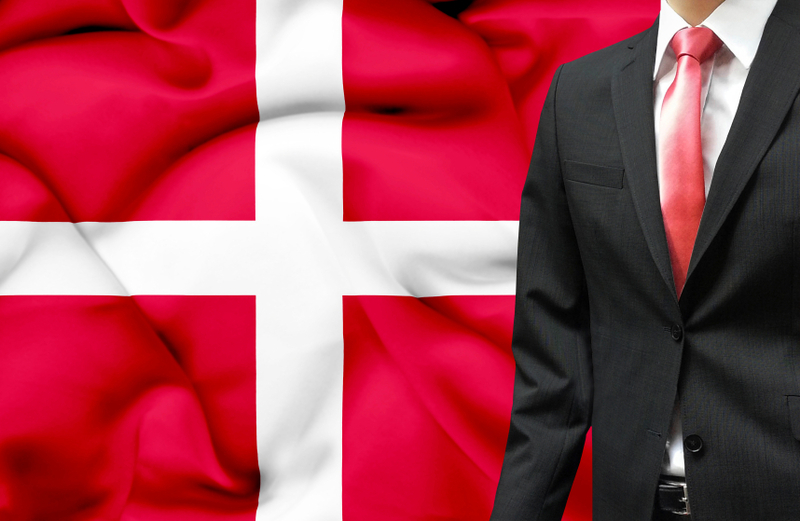 Danish Bonds Endangered by Foreign Investors? The influx of foreign investors buying Danish covered mortgage bonds has introduced an element of risk that wasnt present before. It could be that there’s such a thing as too much love. And that might be what Denmark is getting right now, since the influx of foreign investors buying Danish covered mortgage bonds has introduced an element of risk that wasn’t present before. That’s according to Fitch Ratings, which has stated that if the proportion of foreign investors holding the covered mortgage bonds increases from an already substantial range of 19–20% to, say, 25%, the ratings agency might have to downgrade the two top issuers of the products, Danske Bank A/S and Nykredit Realkredir A/S. Danish covered bonds have a long and safe history. They came into being over 200 years ago, to facilitate rebuilding after a massive fire in 1795, the second great fire in the century, destroyed a great part of the city of Copenhagen. In fact, the bonds also helped Denmark weather the global financial crisis, as international investors ditched unsecured bonds in favor of bonds backed by assets. From 2008 to 2012, according to the European Covered Bond Council, the amount of such bonds outstanding doubled; in 2012, they reached their highest amount, 2.25 trillion euros ($2.79 trillion). Denmark’s own history with covered mortgage bonds lured investors after the crisis, when investors determined to seek safety liked what they saw. A triple-A rating, combined with a history of more than two centuries and bondholder protections provided by Danish law, all combined to drive up foreign ownership from around 13 percent to the current level of approximately 19 percent. Central bank data indicate that, at the same time, ownership of the bonds by Danish pension funds and insurers was falling, thanks to the decreasing return that the bonds provided. While before the crisis Danish institutional investors held approximately 26 percent of covered mortgage bonds, that proportion has fallen with interest rates so that now, after seeking sources of better returns, those investors only hold about 17 percent. While domestic investors can hardly be said to have deserted the bonds, foreign investors don’t have the loyalty to them that Danish investors do. And therein is the risk. While Denmark’s central bank increased its benchmark rate after the Lehman collapse to keep investors from outside the country from dumping Danish holdings, those foreign investors are the most likely to jump ship should anything happen to rock the Danish investment boat. And a new law could possibly do that. Because the influx of foreign investors has enabled Danish adjustable-rate mortgages to adjust interest rates downward—and thus avoid a foreclosure disaster in the wake of the housing bubble collapse—the Danes, who have an extremely high level of personal debt compared to other European countries, have opted to rely on those adjustable-rate mortgages to get through the crisis rather than sticking with longer-term fixed-rate mortgages. That’s been highly beneficial, since they can take advantage of each drop in interest rates, but it’s also a double-edged sword. Since those mortgages adjust every year, they expose mortgage holders to the risk of interest rates increasing enough to cause trouble. As a result, if interest rates were to rise, a great many households could suddenly have a problem keeping up with the payments. That would in turn reduce consumption, throwing the Danish economy a nasty curve. And, since these mortgages reset every year, that means every year there must be enough investors to buy the bonds that finance them. Fitch analyst Cosme de Montpellier, who is on the covered bond side at the ratings agency, said that although Danish lenders have a large amount of refinancing every year, the annual shift of investors wouldn’t have such an impact if there weren’t so many at the same time. So the trend in Denmark now is toward spreading out the refinancing auctions over four dates during the year, rather than holding them all at once. There’s also a move to steer mortgage holders away from the one-year reset product and back toward longer-term fixed mortgages so that the whole market becomes more stable. And according to Fitch analyst Jens Hallen, on the mortgage bank side, tipping the scale back toward Danish investors holding more of the bonds is “not going to happen until international investors want higher interest rates pushing up yields in Denmark.” The “problem” of too great a proportion of international investors will resolve itself when yield increases in Denmark and its domestic institutional investors return. While currently the possibility of bank downgrades over the potential for foreign investor flight is “not an imminent threat,” according to Hallen, what will strengthen the position of the two banks is the return to Danish bondholding by its domestic institutional investors—again, once interest rates increase. In the meantime, that new law mentioned above is a new risk factor that could affect how foreign bondholders feel about their investments. This year the Danish parliament, or Folketing, has passed a law that allows the maturities on those one-year bonds to be extended should there be an auction failure, a dearth of investors, or an increase in interest rates greater than 5%. While that would definitely help in many ways, one risk it introduces is the possibility of flight by foreign investors who could become skittish if suddenly after one year they couldn’t get rid of their bonds. “If the extension is triggered, the idea is that if interest rates increase too much, the bondholder will have to keep the bond for another year—and it could go on for a second, even a third year if no refinancing is possible. While that may signal a problem in the market and some international investors would try to pull out of Denmark, the law has reduced our liquidity concerns following such an event,” said Hallen.